The lip product heard 'round the world? It has to be NARS Lip Gloss in Easy Lover. Ever since I started layering this bright pink gloss over other glosses and lipsticks in my collection, my pout has been getting noticed. "What's on your lips?" I've heard over and over. 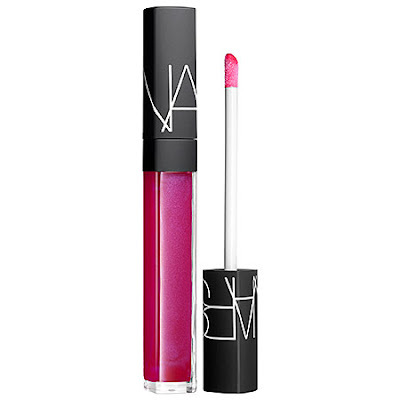 Bottom line -- a couple swipes of this gloss and your pucker will garner attention for hours. Guaranteed. NARS Lip Gloss in Easy Lover retails for $26 at sephora.com. It's perfect for spring! I highly recommend it.